Industrial Conveying (Aust) , an Australian materials handling specialist and turnkey logistics solutions provider is offering turnkey solutions in key beverage handling sectors. 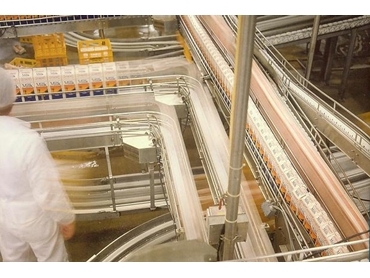 These sectors include the dairy industry, soft drinks manufacturing and handling, confectionery, wine and beer, spirits as well as any industry that requires design and implementation to suit specific needs. According to Managing Director, Mr Don Erskine, ICA’s entry into the beverage industry is a natural progression of its growth. 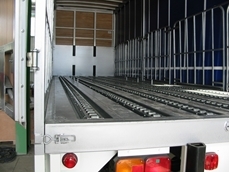 He comments that Industrial Conveying is structured to give the beverage industry turnkey solutions for diverse materials handling needs ranging from handling empty containers at the start of the line through to assembling truck loads and automatically loading to truck without forklifts. Industrial Conveying (Aust) has also established an engineering design and development office in Melbourne employing some of Australia's best CAD and CAE engineers for their turnkey projects. 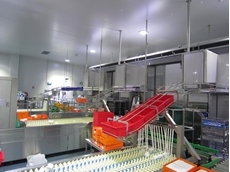 The combination of this facility with the Bendigo design and project Engineering Group has placed ICA in a position where almost any product can be engineered as purpose-specific and integrated into an overall materials handling system with any of the company's standard food and beverage handling products. 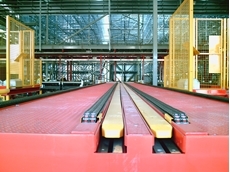 Standard materials handling technologies typically include knife edge conveyors, 90º/180º modular belting type conveyors, plastic modular belt type conveyors and slat band conveyors. 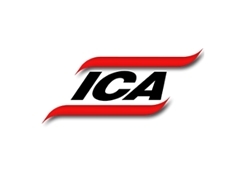 ICA also designs, programs, installs and commissions the control systems and automation for these material handling projects. With materials handling solutions from Industrial Conveying (Aust), the beverage industry now has a one-stop shop for all their requirements. A key advantage for the beverage industry is that the turnkey materials handling systems from Industrial Conveying (Aust) eliminate the involvement of third-party engineering groups, keeping costs down and preventing communication gaps.